Here’s a story that will light the rocket of most any techno-geek. A hero in a desperate situation who endeavors to survive a hostile and unforgiving environment. All we’re missing is a love interest. Oh, wait, he’s a techno-geek too. Never mind. According to the author’s end-notes, this story was written as a series of chapters that he posted to his on-line blog over a period of time. At the encouragement of readers, he made his story available for online download so it could be read on e-books. One thing led to another and the result is this book. The Martian presents the title character (Mark Watney, a biologist slash mechanical engineer slash astronaut), inadvertently stranded on the surface of Mars and facing a daily struggle to survive, relying on little more than his wits. He makes the most of the physical remnants of his recent mission (the Habitat module and rovers, for example), as well as hardware left behind by previous missions (such as Pathfinder), to cobble together a variety of MacGyver-type solutions to both mundane and unexpected problems. His solutions are often innovative, but things don’t always go as planned. Watney approaches risky situations with stoicism – whatever doesn’t kill you will at least make you smarter. Most of the challenges that Watney faces should come as no surprise to anyone who has considered the challenges associated with the exploration of Mars, particular those involved in spaceflight safety. This story takes it a bit further, though, beyond exploration and into the realm of habitation. Watney’s solutions might make a NASA risk manager cringe, but he does not need to gain approval from a review board to accept risk. Taken together, these situations present a credible story of crew survival. Crew survival is one of the more recent concepts that NASA has developed to assess the ability of a crew to survive following loss of all levels of required failure tolerance. Let’s run down a quick list of bad things that he encountered (without giving away any plot) – oxygen toxicity, CO2 buildup, fire, explosion, injury, rapid loss of habitable environment, compromise of suit integrity, loss of thermal environment, lack of food, and lack of water. That’s the short list. If that doesn’t pique the interest of a safety engineer, then maybe you need to check for a pulse. The story contains a lot of technical information that I trust is accurate. My working assumption, in the interest of reading this as a story rather than running check calculations on the numbers, is that the calculations are reasonably accurate or at least good working estimates, i.e., nothing that would violate the laws of physics (did someone say “Gravity”?). The purpose of this book is to entertain and inspire, rather than to serve as a textbook. A number of employee book club discussions at my place of employment have used this story as a point of departure for considering how humans can survive on Mars and what we can do to anticipate and address challenges that they will likely face. Watney is industrious and resourceful, not to mention stoic and irreverent. You never feel that he has lost hope. Just give it enough thought, and a solution will present itself. Nothing that a little duct tape won’t fix. Despite Watney’s engaging nature, character development was rather static. The character that emerged at the end of the story was not that much different than the character at the outset. I would have expected more periods of Deep Thought (that’s an homage to a Saturday Night Live skit) and introspection and depression and lethargy. Rather, this guy has a mind that churns away 24/7. Watney is a character with whom the reader can empathize, so it is a surprise that he does not struggle with depression or loneliness. I mean, how much can one person endure when faced with entertainment limited to “Three’s Company” re-runs from the 1970s and the best of disco (sounds like an oxymoron to me)? So, although he gives a passing nod to the emotional and psychological impact of his experience, I came away disappointed that he did not deal with and manage the non-technical challenges that one might expect to the same degree he did with the technical stuff. Ultimately, this story serves a grander purpose in catalyzing discussions of human exploration and discovery on Mars amongst professionals who will play a role in turning fiction into reality. The author would surely be gratified with the reach of his story and the effect that it has produced, not only within the human spaceflight community, but perhaps more importantly, with the general public. This is not without precedent. As recently as the 1950s, writers and artists and engineers joined forces to engage public awareness of the possibilities and prospects of human spaceflight. They did this through a series of articles in “Colliers” magazine (1952-54) and subsequent books (such as Across the Space Frontier (1952) and The Exploration of Mars (1956)), soon followed by a series of television programs, hosted by Walt Disney, that served to raise public anticipation of and expectations for the arrival of the space age. Much of this was based on the “von Braun paradigm” for space exploration, documented in his book The Mars Project (1953). 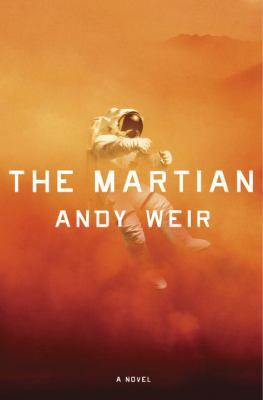 The Martian is a very interesting and entertaining novel that is easy to read and tough to put down. It will provide a visually interesting opportunity for the big screen. I have heard that a film is entering production and, although I have not seen the screenplay, I would bet that Hollywood adds a love interest. What would Watney do? Read the book and find out. You won’t be disappointed. Michael Ciancone is a Spaceflight Safety Engineer at the NASA Johnson Space Center in Houston, Texas, USA. He is currently the NASA S&MA Lead to the European Service Module (ESM) Project of the Multi-Purpose Crew Vehicle (MPCV) Program. Mr. Ciancone is a founding member of the IAASS. Really good book. Enjoy it, I did, via audio. Frankly, I applaud Weir for not delving into his character’s metaphysical angst or brushes with madness or pondering his place in the universe as a lone human being on a small planet, orbiting an uninteresting star, in an unremarkable galaxy. Perhaps Watney did do that in the endless hours of boredom he had to endure? But if he did, he clearly pushes it aside and gets to the problem at hand. See the talk he gave at LLNL. He did one “gimme” at the start – a violent wind/sand storm on Mars is a fairly light breeze for Earth. I was quite willing to give him that. The movie was quite good, even though they cut out about 2/3 of the problems he had in the book – but that is because a movie really true to the book would be 6 hours. I was satisfied they did a good job on what they cut/kept for the movie.